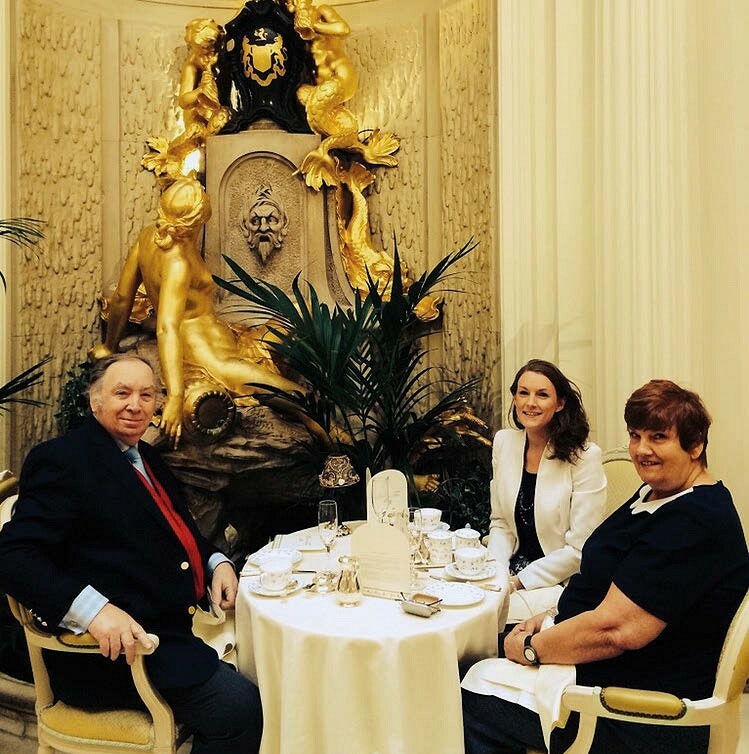 Photographed at The Ritz Hotel in London in 2016 is the late silver dealer George Paterson, his granddaughter Clare O’Neill, centre, and O’Neill’s grandmother, Patricia Paterson. It has been launched by Clare O’Neill, the granddaughter of a well-known local silver dealer, George Paterson, who spent his last weeks in the hospice in the Weald. She has been overwhelmed by the response to her call for standholders at the Tunbridge Wells Antiques Fair, saying: “This has gone above and beyond my hopes for it. “I already have 50 booked exhibitors and 10 on the waiting list for outside stalls. They are mostly locals who knew my granddad in the trade but we also have some dealers from London and one from France. Paterson stood at local fairs in Mayfield and Wadhurst for more than 30 years. “He became one of the biggest silver dealers in the area,” adds O’Neill. “He was cleaning silver and putting it into auctions right up until the last week of his life. I even had to take him out of the hospice one day as he was determined to get some auction lots in. O’Neill can be contacted at cgpsilver@gmail.com.